With Words That Will Transform Your Life. All orders from this page will be personally autographed by me, Timekia Brayboy. 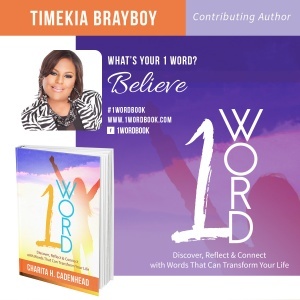 ABOUT THE AUTHOR: Timekia is a 10-year Army Veteran, Inspirer, Speaker, and Life Strategist was born and raised in Birmingham, Alabama. This inspiring woman has the drive and burning desire to be the change she wishes to see in the world today. She truly exemplifies the characteristics of an influential leader and has earned multiple awards and recognitions to include The Joint Service Commendation Medal for outstanding leadership from the Secretary of Defense of The United States of America. This ambitious leader paints a unique illustration for all humanity to visualize excellence from within. Timekia has a gift that was recognized early in life, to empower individuals to open the box of imagination, so as to make their dreams become reality. 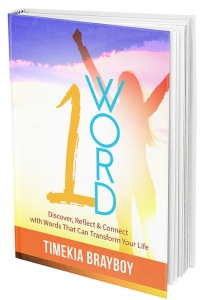 Timekia is celebrated as a great source of inspiration and master motivator to empowering others to live life intentionally while believing in themselves. She’s been given the name “Freedom Coach,” because of her gift to influence audiences to break free from the destitute circumstances in their lives.